If you liked Julia & Julia – either the book by Julie Powell, or the wonderful movie starring Amy Adams and Meryl Streep – you will love this book! 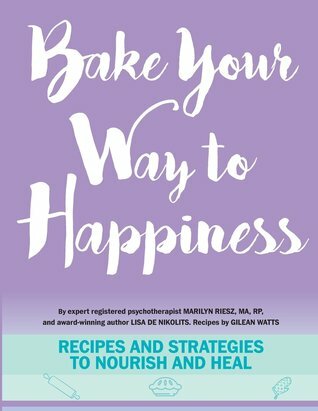 In Bake Your Way to Happiness, you will find fifteen recipes along with fifteen strategies and accompanying activities to nourish your body and spirit, and which will help you heal from all kinds of modern-day stresses and ails: sadness, body image issues, low self-worth, negative thinking, fear, insomnia, mood swings, anger, inner child issues, self sabotage, anxiety and more. 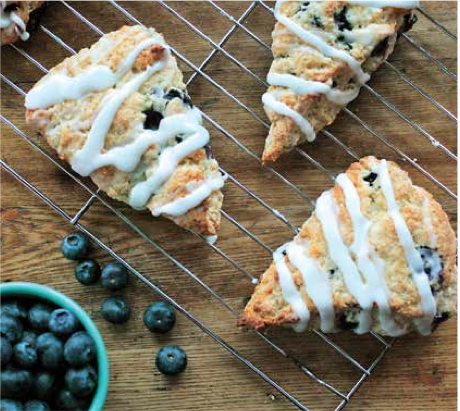 How do you bake your way to happiness? The answer is easy. 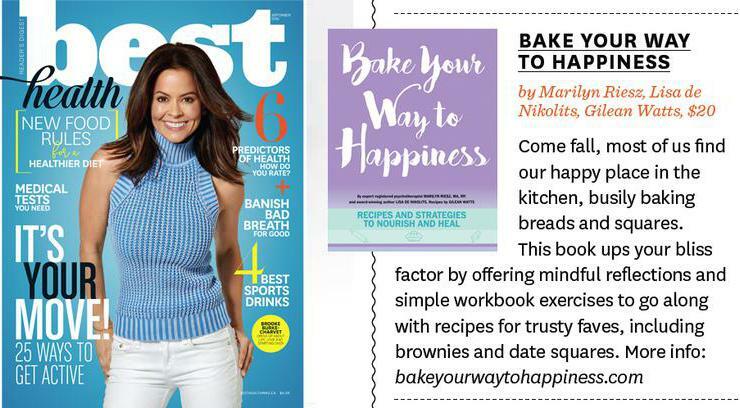 You bake the delicious recipes that have been tested especially for you by our wonderful food editor, Gilean Watts, and you follow the creative workbook reconstructions that have been formulated by our registered expert psychotherapist, Marilyn Riesz. Both the recipes and the reconstructions have been proven to work! The recipes come from Gilean’s granny and, during Gilean’s time at university, when she was suffering from depression, Gilean used these very recipes to overcome a bout of depression. And Marilyn’s unique therapy of Cognitive Reconstructions have been called miraculous by her clients, who are amazed by the level of healing that they bring. You might ask what my role in all of this is? Unusually for me (when it comes to books), this publication sees me wearing my art director and designer hat, more than that of author. 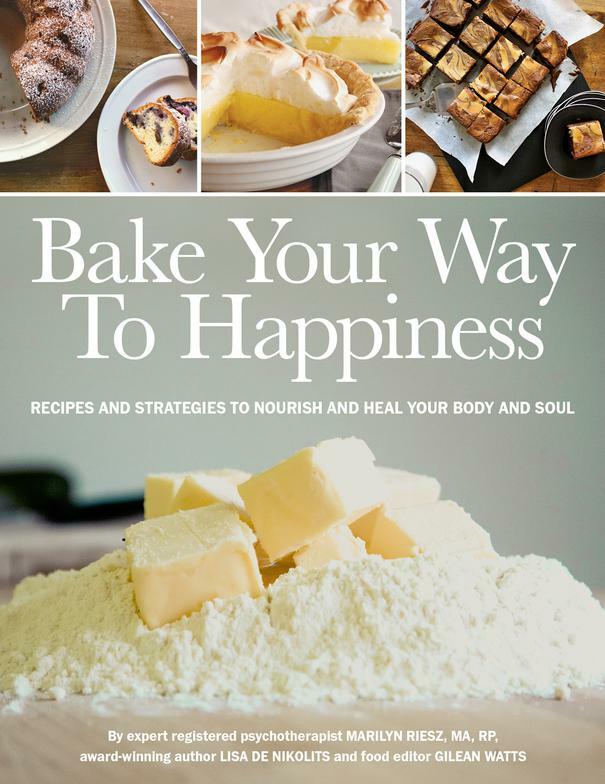 This project was however, inspired one of my books – the protagonist in one of my forthcoming novels pens a collection of Bake Your Way therapy cookbooks and I realized that I really could make this happen – this book could be a real thing! So, working with these two fantastic and extremely talented ladies, I am very proud to announce that Bake Your Way to Happiness is now available and you can order your copy by clicking on the link below. We very much hope that you will enjoy this book as much as we have enjoyed creating it for you. "All too often psychotherapy fails to recognize our being whole, integrated systems. Thoughts are amazing creations, and changing our thoughts can reverberate throughout our whole person because we are each a fully connected system. 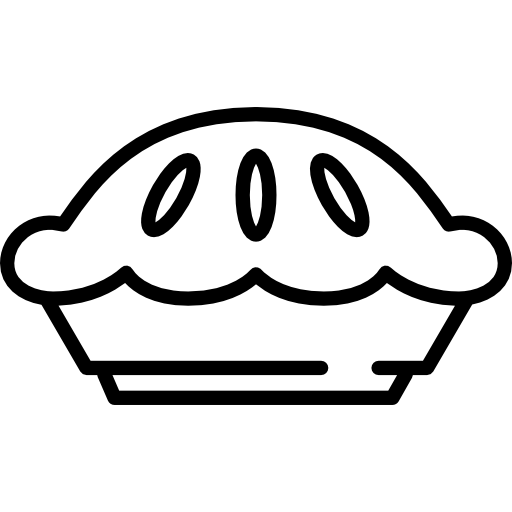 But in emphasizing individual thinking, we can ignore the immense influence of our social relationships and of our physical movement…including baking and eating. That’s where this book makes a unique contribution. It uses metaphors connecting the nourishment of our bodies with the nourishment of our souls. It also models joyful, uplifting messages to help reconstruct sadness and distress."